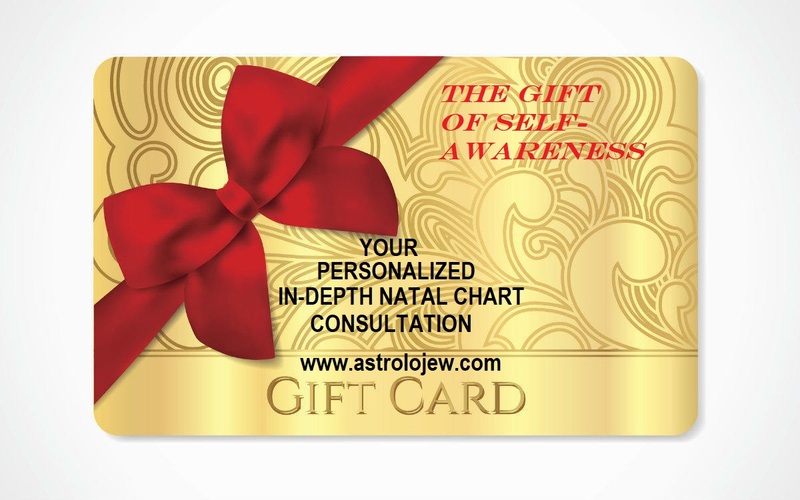 A special offer to my Astrolojew clients! If I've done your Natal Chart before, I'm offering you first dibs on my new product: The 2015 AstroloJew Weather Report! Completely customized to your individual Natal Chart, this written report is a month-by-month detailed overview of the energetic movements of the Planets through the Houses of your Chart and what kind of "weather" you can expect in the coming year. Special price for current or former clients only - $50. Order now for delivery by the end of December! Thank G*d - because if you, like me, have been suffering from a Scorpio overdose these last few weeks, you'll be so relieved to know that the BEST Month of the Jewish Year is finally here! Of course some people would say I'm not entirely objective, since Kislev is my birthday month. Others would say because I myself am a Sagittarius it's impossible for me to be objective. I say: Who cares? Kislev is by far the best month for many reasons, not the least of which is that Kislev is the Month associated with the Tribe of Benyamin, the tribal inheritance of the Beit HaMikdash. Kislev comes at the darkest time of the Jewish Year, bringing the biggest opportunity to reveal light. The festival of Chanukah comes during Kislev, reminding us that no matter how obscured our reality seems, a little light illuminates the darkness. What is that “little light”, aside from the obvious metaphor for the Chanukah candles? It’s the light of our own soul, and this is the time of year we’re most able to shine. Chodesh Kislev is related to the Tribe of Benyamin and the “Mazal” (Zodiac Sign”) of Sagittarius. 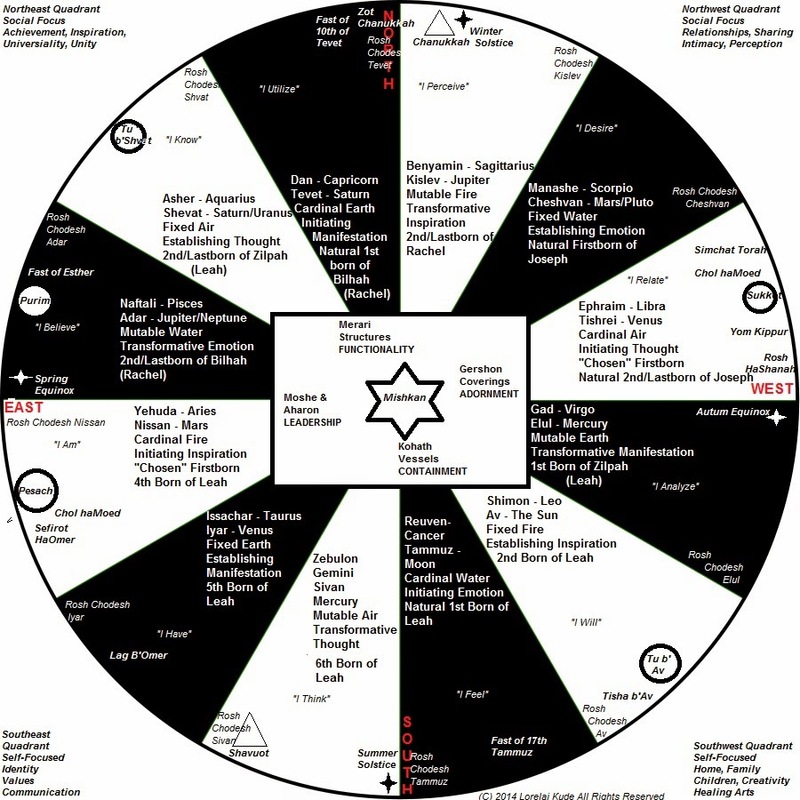 Kislev is the third and last segment of the “Rachel” Quadrant of the Jewish Year (Tishrei to Kislev / Autumn to Winter, when the Tribes associated with these three months are the descendants of Rachel – Ephraim for Tishrei, Menashe for Cheshvan, and Benyamin for Kislev). All the Signs of the “Rachel” side of the Jewish Year are RELATIONAL. Tishrei/Ephraim describes how we relate to partners in the realm of love and marriage. Cheshvan/Menashe describes how we relate to what we share with others (intimacy, possessions, and responsibilities). Kislev/Benyamin describes how we relate to our belief systems (religion, philosophy, higher education) and how we PERCEIVE ourselves, others and the world we live in. During Kislev, our powers of perception are the greatest. Kislev is linked to the Hebrew Letter “Samech” and associated with the attribute of sleep. No other month in the Jewish Year has so much to do with sleep and dreams! Every Parsha we read during Kislev has some kind of prophetic dream associated with it. Yacov (Jacob) dreams of a ladder reaching to the heavens. Yosef (Joseph) dreams that the sun, moon and stars bow down to him. Later when he is wrongfully imprisoned, his fellow inmates have dreams which he successfully interprets, leading him to Pharaoh, whose dreams of cows and corns portended years of plenty followed by years of famine. The Hebrew Letter associated with the Month of Kislev is Samech. Samech has the numerical value of 60. "Sleep is one sixtieth of death." "Shabbat is one sixtieth of the world to come." "Dreams are one sixtieth of prophecy." "Honey is one sixtieth of mannah". "Visiting the sick removes one sixtieth of the illness." "Fire is one sixtieth of Gehenna." 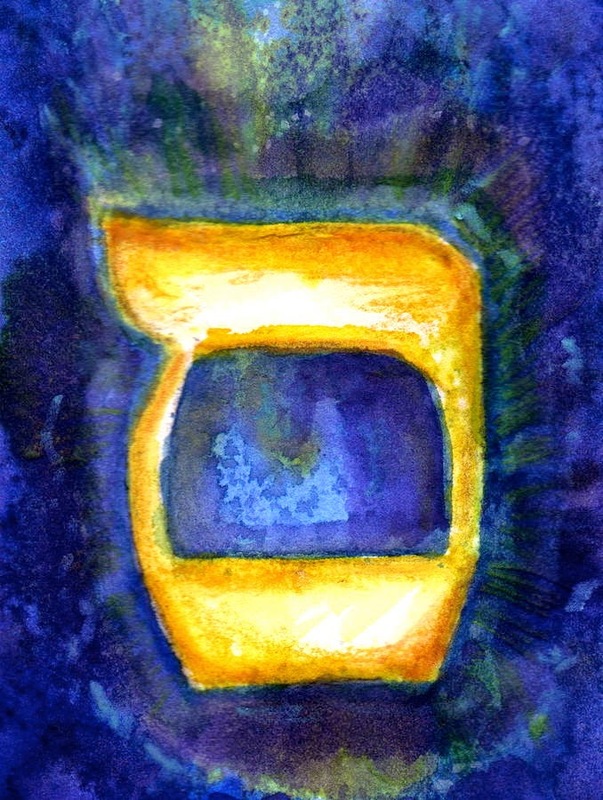 Samech is a closed, round letter shaped like a womb, it encloses and supports (Somech), it provides a safe, nurturing place in which to dream, and to bring forth prophecy. Divine protection and shielding from spiritual harm belong to Samech. How best to get your Samech on during Chodesh Kislev? Open yourself up to joy! Jupiter, the Planet associated with Kislev and Sagittarius, is currently transiting the Sign of Leo, which makes a supportive and positive Trine to the Sun in Sagittarius and invites us to warm ourselves and others in the glow of friendship, love, positive energy. Jupiter is called "Tzedek" in Hebrew - the same root as the word "Tzadik" (righteous person), "Tzedaka" (giving of charity), etc. Jupiter's energy focuses the attributes of generosity and righteousness upon us right now, especially in regards to how we perceive ourselves. Let's be generous and not judgmental - starting with ourselves, and then with each other. Rebbe Nachman of Breslov reminds us to always look for the "Nekudat Tovah", the "Good Point" in ourselves, in others, and in every situation, no matter how weird and scary it might be. Jupiter (Tzedek) helps us with that effort more this month than any other month! May Chodesh Kislev bring SO MUCH LIGHT into our own hearts and lives, and into a dark and scary world that has been traumatized by too much Scorpio in the past few weeks - in fact, the past couple of years! Saturn will be moving from Scorpio (where it's been since early October of 2012) into Sagittarius near the end of December, and that's going to be a major game changer. More about that later ... but for now - Chodesh Kislev Tov Mayod!!! 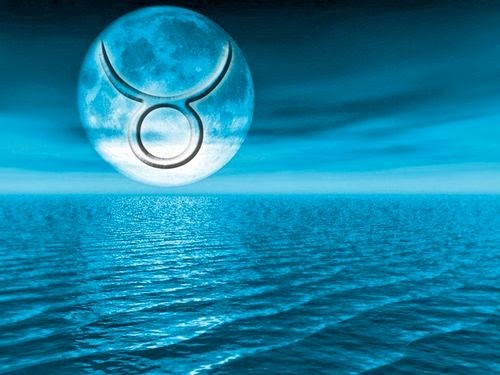 Sun in Scorpio, Full Moon in Taurus - "Yours, Mine and Ours"
Full Moon in Taurus Thursday 2:23pm Pacific/5:23pm Eastern/12:23am Friday Jerusalem time. Sun in Scorpio opposite Moon in Taurus highlights the dynamic between what we share with others and what we believe belongs only to ourselves. It's the push-pull between "Mine" and "Ours" and in the personal realm, illustrates the drama between what we desire to possess and what possess us. In the Interpersonal/Global realm, it's the struggle to share space, resources, attention, and legitimacy with those with whom we feel we have the least in common. The greatest gift of this Full Moon is the opportunity to transcend the idea of "mine" and "ours", to see that what separates us from others is often merely only rhetoric, propaganda, and fear of the unknown. Best way to quell a fearful heart this Full Moon is to connect with Mother Nature, especially via Earth (Taurus) or Water (Scorpio). Get out into nature today - forest, sea-side, woods, fields. Take off your shoes and let your feet absorb the energy of the Earth itself. Smell the flowers (if there are any!) and find a sensual way to relate to the beauty around you. When feelings of overwhelming desire are mixed with possessiveness, remember that it's only fear that makes you hold on so tight. Fear of scarcity, fear of not having enough, fear of having what little you have (at least you might think it's little, it might not actually be as little as you think it is) taken away from you ... all these fears that make you clench your fist so hard need to be resolved by trust and faith so that you can unclench your fist and turn it into an open hand. Remember that it's much easier for an open hand to receive good things from others and from the universe than a closed fist. This Full Moon is directly across the Jewish Year from the Full Moon of Iyar, which is Pesach Sheni. Just as Pesach Sheni offers us a second chance to join the community and experience ourselves as part of the Claal, the Full Moon of Cheshvan (always Sun in Scorpio, Moon in Taurus) offers us a second chance to integrate our unique individuality into where we "fit int" to this world. 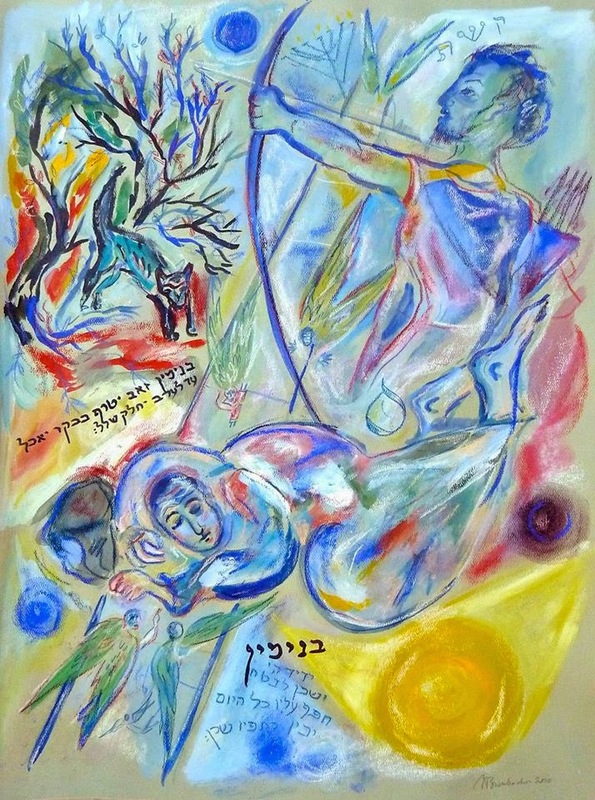 Menashe, the Tribe associated with Cheshvan and the Sign of Scorpio, may have had the right to be bitter ("Mar" Cheshvan) as his status as first-born of Yosef was "switched" during the blessing his grandfather Yacov gave, which gave preeminence to his younger brother, Ephraim. The secret of Menashe is that, unlike some other famous "brothers" who went before him (Cain, Ishmael, Esav, the 10 sons of Yacov who sold his father Yosef into slavery), he successfully CHOSE to forgo resentment and bitterness when his rightful place as firstborn was switched with his brother. Every Friday night, Jewish boys are blessed by their parents with the blessing that they should become like Ephraim and Menashe. Why? Because the were brothers who didn't quarrel when one received what the other assumed he himself deserved. They were brothers who were so dedicated to G*d that when their blessings came, they rejoiced for each other even though the blessings were not as they expected. Menashe learned how NOT to grasp on to what he needed to let go of., bringing blessings to himself, his family and the community. 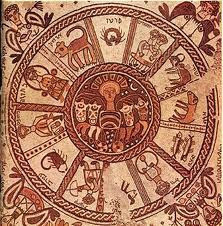 Recall as well that Issachar, the Tribe associated with Taurus, was a brother who "shared". Issachar and Zebulon had a relationship similar to that of Menashe and Ephraim - brothers who cooperated and shared their resources, each finding a way to benefit themselves and the other by understanding their own strengths and inclinations, and partnering with the other brother whose complimentary strengths and inclinations perfectly balanced and enhanced the other. You can only let go when you are secure in who you are. Blessings to everyone - you should know who you are, what is "yours" and what is "ours", you should joyfully share what you have without fear of scarcity or deprivation, and may this Full Moon bring a deeper revelation of the reality that G*d indeed "opens up (His) hand and satisfies the desire of every living thing". You won't lose your turn if you let someone else in the line. Scarcity is an illusion. There's always enough love to go around. Just open up your hands and your heart to receive it.